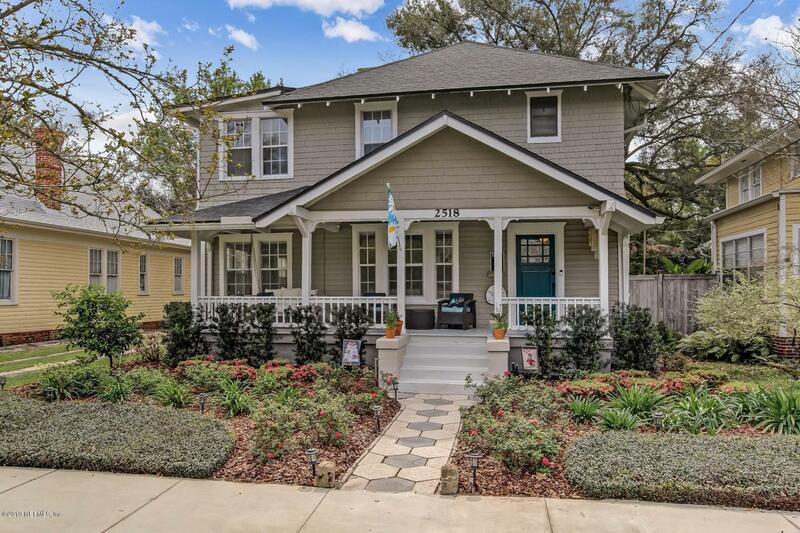 LOCATED IN THE HEART OF RIVERSIDE, the most walkable neighborhood in Jacksonville! 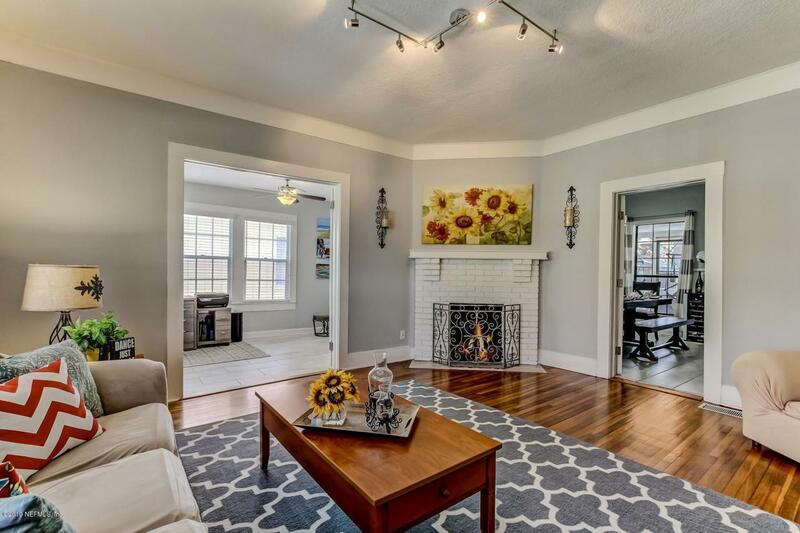 This beauty is only 3 blocks from the river & boasts historical details with all the comforts of a carefully updated home. Just a stroll to the Riverside Arts Market, charming shops & unique restaurants. 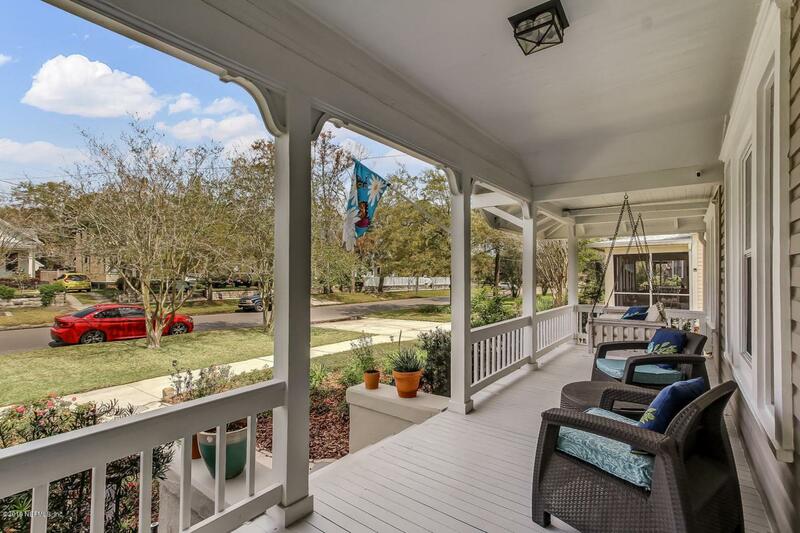 Enjoy a gentle breeze from your Southern Style Front Porch or relax on the screened porch overlooking the newly landscaped backyard! Step back in time as you view the unique windows, wood floors & grand stairway upon entering the Foyer. All 3 Baths are updated with new tile, vanities & granite counters. Kitchen updates include stainless appliances, granite counters & backsplash. Long driveway & 1 car Garage provide plenty of parking. 2,384 square feet, 3 Bedroom 3 Bath home. More details are listed below.RAP - Riverside Avondale Preservation Home. Terminex Ultimate Protection Package. New Landscaping. New Gutter System. Entire House Runs on 240V. Upgraded Irrigation Control Unit. Level 1 Chimney Cleaning. Encapsulated Crawlspace. Insulated Attic (Blow In) Energy Efficient Front & Back Doors. Exterior Doors & Garage have Keyless Entry. New Garage Door Opener. Freshly Painted Front & Pack Porch. 3 Bedroom, 3 Bath, plus Office, Living Room with fireplace, large Family Room, Dining Room.